The information presented on this page was originally released on July 15, 2016. It may not be outdated, but please search our site for more current information. If you plan to quote or reference this information in a publication, please check with the Extension specialist or author before proceeding. Louis Wasson, a senior Extension associate with the MSU Geosystems Research Institute, or GRI, said this technology has tremendous potential in a wide variety of areas, including agriculture, construction, utilities, and search and rescue. Anyone interested in the technology must know the basic Federal Aviation Administration regulations for remotely controlled aircraft, or drones. The FAA issued its final rule on commercial UAS use last month, but previously existing rules are only now becoming more understood by the general public. 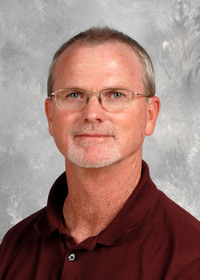 Wasson said there are many misconceptions regarding the use of UAS. While general interest in UAS has grown mostly in the last three years, the FAA has regulated their use since the 1970s, and the U.S. military has used them since the 1960s. Misconception No. 2: They can legally be flown anywhere. Safety and privacy are two main concerns often associated with the growing popularity of UAS technology. Like any aircraft, the systems can fail and cause injury. Like any technology, they can be used for the wrong reasons. “Thousands of people got a UAS this past Christmas, and many thought they could just go out and fly the aircraft anywhere. This is not the case,” Wasson said. “On roads, we have the yellow stripe that keeps us on the correct side of the road. In airspace, altitude is that yellow stripe. “Manned airplanes fly at no less than 500 feet except during takeoffs and landings. UAS aircraft cannot be flown above 400 feet, so we have a 100-foot altitude buffer between manned and unmanned aircraft,” Wasson added. David Young, GRI flight coordinator, said operators cannot fly within 5 miles of an airport unless they get permission from the airport or airport tower. Wasson said UAS technology has evolved so much that nearly all the machines can fly themselves. FAA guidelines also disallow flying over sensitive infrastructure, such as power stations, water treatment plants and heavily traveled highways. Misconception No. 3: Hobbyists do not have to register their aircraft. Beginning in December 2015, the FAA mandated registration for all owners of small, unmanned aircraft that weigh more than half a pound. Last month’s new FAA regulations mandate that anyone flying a UAS must be at least 16 years old. Operators must also have a remote pilot certificate with a small UAS rating from the FAA, or they must be directly supervised by someone with certification. Registering a recreational UAS can be done online at http://knowbeforeyoufly.org/register-your-drone/. Misconception No. 4: They are toy planes. Small drones are more than just model airplanes because of their cameras and the fact that they can perform other functions than just moving around by remote control. The Geosystems Research Institute routinely uses unmanned aircraft in precision-agriculture applications. GRI researchers fly them over MSU research plots to collect data and photos, which they later analyze. As the leading university of the Alliance for System Safety of UAS through Research Excellence (ASSURE), MSU provides research findings to the FAA to help the market for unmanned aircraft grow into its potential. 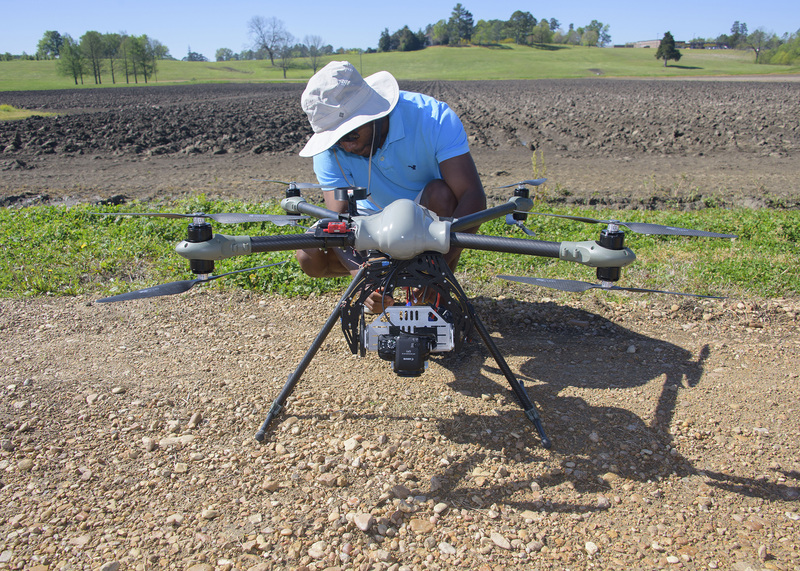 For more information on UAS operations and FAA regulations, visit http://extension.msstate.edu/agriculture/precision-agriculture/types-uas. Learn more about ASSURE at http://assureuas.org.